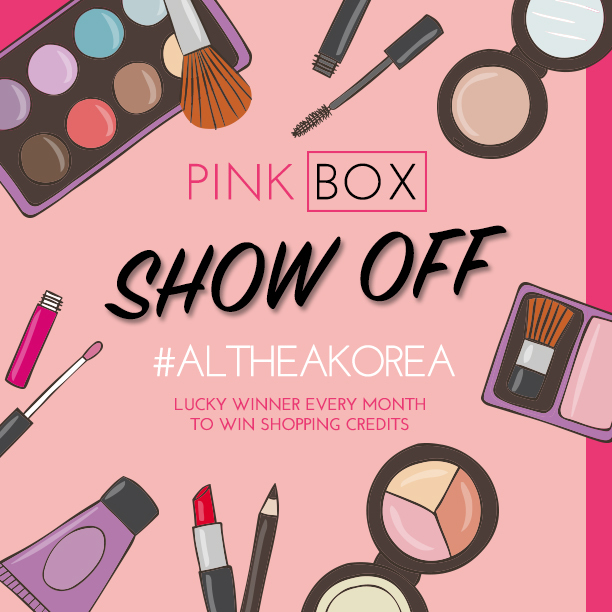 As promised, here are the winners for the Pink Box Show Off Contest in the month of May! We have contacted all the winners directly and the shopping credits have been credited in their Althea accounts. For those who didn't win this round, don't be sad, try again next month and make sure to post more stunning photo's of your Althea Pink Box okay. A tip from us is, try posting a picture that is creative and eye-catching so our Althea Angels could spot your picture right away. So if you haven't followed our Instagram account yet, make sure to do so now at @altheakorea and don't miss out on future contests and announcements.